Holland were forced to bounce back from a goal down before beating 10-man Kazakhstan 3-1 in their Group A European qualifier at the Amsterdam Arena. Rinat Abdulin's diving header gave the visitor's a shock first-half lead but goals from substitute Klaas-Jan Huntelaar, Ibrahim Afellay and Robin van Persie earned Guus Hiddink his first win as Holland coach since taking over from Louis van Gaal. 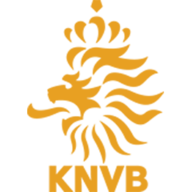 Sign in with your Sky ID to watch extended highlights of the Netherlands' 3-1 win over Kazakhstan. The home fans were on their feet in the 12th minute when Manchester United striker Van Persie had the ball in the net but their joy was short lived as the goal was disallowed for off-side. Five minutes later, the Amsterdam Arena was stunned into silence when Kazakhstan took a shock lead from a corner - poor Dutch defending leaving Abdulin (17) unmarked and his diving header beat goalkeeper Jasper Cillessen via the crossbar. 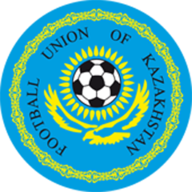 Van Persie's clever header with his back to goal had Kazakhstan keeper Aleksandr Mokin worried but the ball looped over the bar before landing on the roof of the net. Holland should have been level just before the break but the chance was wasted as Jeremain Lens opted to go for glory with a wild shot rather than passing to Wesley Sneijder who was free inside the box. That proved to be the last Dutch effort of the first-half and Hiddink's men left the pitch to loud jeers from angry home fans. Ibrahim Afellay drilled one over from distance as the Dutch started the second-half on the front foot before van Persie wasted a great chance as he smashed the ball across the face of the goal. The home crowd finally had something to cheer about when substitute Huntelaar (62), who appeared to be offside when the ball was played in, levelled with a powerful downward header. Things went from bad to worse in the space of two minutes for the visitors when they were reduced to 10 men - Artjoms Rudnevs given his marching orders for a crude challenge from behind on Afellay. Holland surged forward looking for another goal and Huntelaar was denied by Mokin before Arjen Robben crashed a fierce free-kick against the crossbar from the edge of the box. Kazakhstan were tiring badly and the seemingly inevitable Dutch goal finally came when Afellay (82) smashed in a shot that took a deflection off a defender before flying past Mokin. Van Persie sealed the win for the Dutch in the 89th minute when he was tripped in the box and got up to make it 3-1 with a well taken penalty.